A couple of years ago, I bought a pair of Steve Madden ballerina slipper style flats. They were neutral, and at the time, they seemed like a great investment in comfortable shoes. I had just started teaching, and my college Chacos were not considered professional, so I needed to find a pair of shoes that I could wear to work. Enter the neutral flats. They had such potential, and maybe they could have worked out. I think it was the fact that I wore them for 12 hour stretches where I was on my feet THE WHOLE TIME, that made them a huge #teacherfail. By day two, the band-aids that I was using to protect my blisters were rubbed off and destroyed – so was that layer of skin. I had resorted to using painter’s tape that was in my classroom to wrap my injured ankles. Please take a moment and imagine blue painter’s tape (not so) discretely under these ‘stylish’ flats. Not only were these shoes drawing blood, they were causing my feet muscles to ache, and they kept sliding off. After a few weeks, I succumbed to my injuries and bought a pair of TOMS. They were better. I wasn’t bleeding, but they offered very little support. 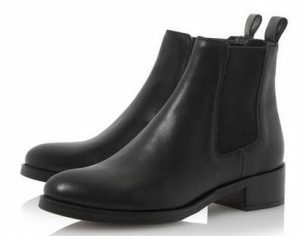 Real talk: why can’t ALL shoes be cute and comfortable? Below, I have rounded up the most comfortable shoes for teachers. These are all shoes that I can recommend (or some of my teacher friends have recommended) for classroom-comfort. Both of these shoes are for schools with a casual dress code, but if you can get away with it, these shoes are worth it. I wore Saltwater Sandals for 4 days around Disney World, and my feet felt fine. 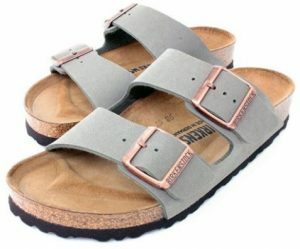 Birkenstocks took about a week to get used to (since they are on the heavier side) but they are now my go to. I like them better than my Saltwaters because they protect my feet a little better from the rogue chair leg that is bound to squash your toes whenever you wear sandals. 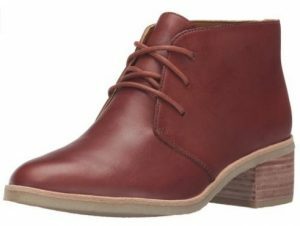 Clarks are known for their comfort, but did you know that they can be cute? One of my coworkers, Rene, is always dressed SO effortlessly (think: Madewell + Anthropologie). The day I saw her in these boots, I asked her where she got them, and she told me that they were Clarks. She couldn’t believe it either! They look great with her maxi skirts, jeans, and cropped pants. I can’t wait to get a pair for later this year. For my vegan friends out there, my friend, Taryn, recommends Korkease shoes. She has this pair, but they also come in boots and flats. If I want to dress up, I almost always choose a wedge heal. 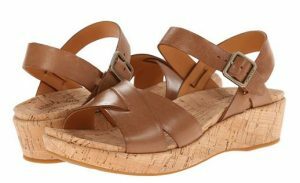 Something about the wedge is stylish, yet comfortable. Plus, you can wear them on the weekends! I wouldn’t normally post super expensive shoes because I like to keep things on a budget, but I have heard so many great things about Rothy’s. I first heard about them from Sherry at Young House Love. I love Sherry because she is all about buying things that are functional and well made. Rothy’s are cute, made of recycled water bottles (what? ), and super comfy. 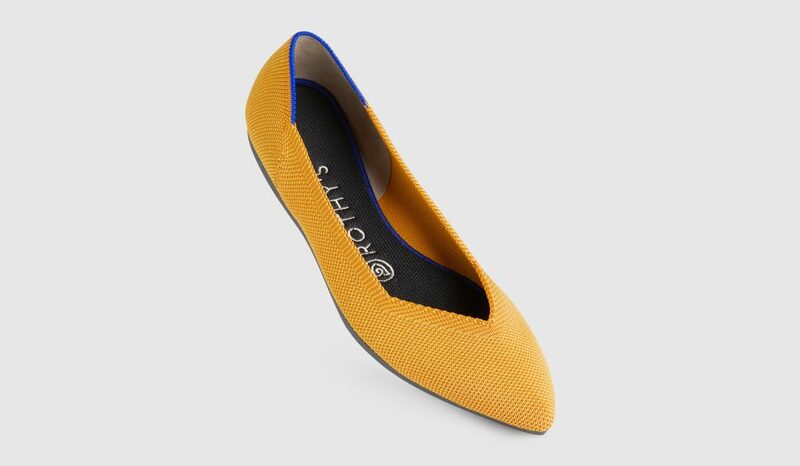 I personally love the pointed toe in Marigold. Use this link to save $20! My coworker, Joanna, says this about them, “There are no laces for maximum laziness, the heel is an excellent height for standing all day, AND I don’t worry about slipping and falling in front of kids.” Joanna tells me that they are also waterproof which comes in handy at a school where you have to walk outside to get to the cafeteria and the front office. For a more professional look, I would recommend a pair of loafers. Loafers are the ballet flats more comfortable, supportive sister. They provide support on the arch by way of a little heel. 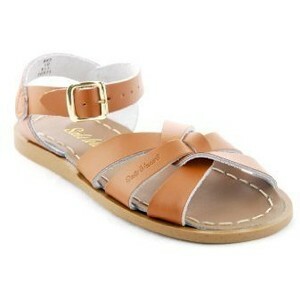 I had a pair from Madewell (similar to what is linked), but my beloved dog destroyed them. I don’t remember getting any type of blisters the first time I wore them because I implemented a #lifehack. Here is the trick: when you have brand new shoes that may give you blisters, wear them around your house with thick socks for a couple of hours. This will stretch out the shoes just enough that they won’t rub on your skin when you wear them sans sock. 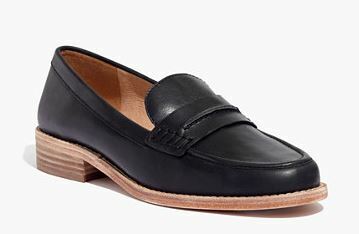 I would love to hear more about what you would recommend as comfortable shoes for teachers! Share in the comments below, so that we can skip all the shoe drama. What do you all wear? Does anyone wear heals? Bless you. Thanks for the recommendations! Always looking for shoes that will survive the school day and my commute. I recently picked up a pair of Aerosoles Trendsetter Flats – they’re a good cross between a loafer and a flat, sans blisters! This is such a helpful list. I used to teach as well and remember the shoe dilemma! These days, I find birkenstocks and crocs to be the most comfortable. I also just bought my first pair of TOMs and have been happy with them. My husband is a pastor and swears by Clarks or Crocs for when he has to be on his feet for hours. Crocs actually makes a lot of “nicer” looking shoes. (Actually, chacos now also have some dressier shoe options too!). My sister swears by birkenstocks! And my husband is a pastor, too…small world! I agree, love my Vionics! I had read another article about the “best” shoes for teachers and bought a pair of Tieks. BIG MISTAKE. They did not fit well across the tops of the feet and were so thin that I worried about wearing them to school. Thankfully they have great customer service and they were returned with no problem. Principal Gerry Brooks has a shoe company that he recommends but I can’t think of the name. Algeria makes an extremely comfortable she with quark removable/replaceable shoe. Often worn by the medical field.